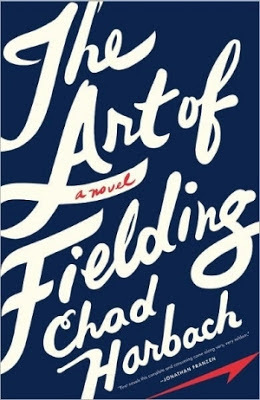 I just finished The Art of Fielding: A Novel by Chad Harbach. I set out to really love this book. I love the writing style and the small liberal arts college setting. It reminded me of one of my favorite books, A Prayer for Owen Meany by John Irving. There's even a character named Owen. There's even someone who gets hit in the head with a baseball. I loved and was really interested in the characters. I read it quickly. It was a pleasure to read. But the story was disappointing. It wasn't grand and big and life-affirming, like a I like. It was about failure and depression and self-doubt. But it still has some warmth and humor to it. This novel has been compared to Jonathan Franzen's stuff, which I hate reading. If Chad Harbach admires Franzen then that explains the bleakness. But I wish he didn't. Because this is almost the great and beautiful kind of book that I love. I think Harbach and Franzen think beautiful and uplifting is corny and old fashioned. Jonathan Franzen is dead inside but there's hope for Harbach. I don't have to read books with happy endings. But I like the overall message to be that love or hard work or goodness prevails. I just like to read about that. It's a rated R book, just so you know. And it talks a lot about baseball, which Chad Harbach manages to make you care about. Overall, a good book. I was just disappointed because I started to think it might be a great book—one of my favorites. It's not. Agreed. I couldn't put it down, but it was such a downer. Everyoe's life just keeps getting WORSE and WORSE and WORSE. It do wish it ended with more hope, but I was still a fan, even though I rarely recommend this book to anyone. Agree. High hopes, but it didn't work for me. I also had trouble believing the relationships. we cant expect that every time we read something, it would have a nice ending..it is part of the game..
from reading it, we learn lessons that can help us.. I also enjoyed the first half. Then it got way too yucky and depressing. This is interesting. I wanted it so badly to end well, and I kind of feel like it sort of did. It wasn't ideal, but it was realistic, maybe? I couldn't put it down either, and I believe I told my husband at one point that it was "epic" and I don't usually say crap like that. 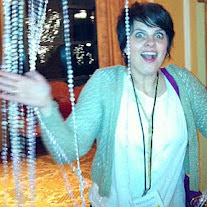 Or probably I do but I specifically remember this instance. However, yes, I have only recommended it to one person. I wasn't in love with it. It was enthralling, but not in the way you want everyone else to be enthralled with you.